This dish was inspired by my Mom’s shepherd pie that was a such a warming winter dish when I was growing up. 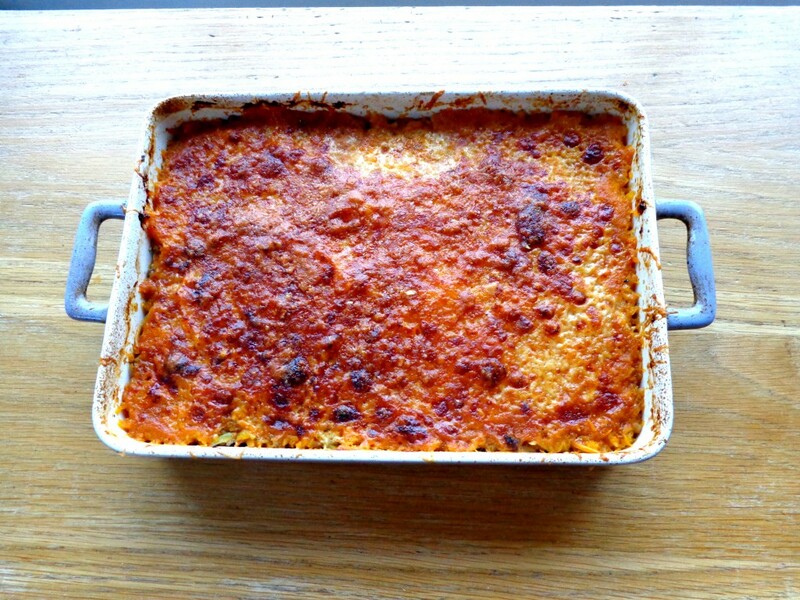 I have adapted it from shepherd’s pie quite a bit and I hope you like it. You can use lamb mince in place of beef mince if you wish. I usually make two of these, portion one out and freeze it. It comes in handy when I am working. Just take out the night before and defrost in refrigerator to be heated up the next day. As always when reheating, make sure the dish is piping hot all the way through before consuming, then ENJOY! Preheat the oven to 180°C/gas mark 4 or 350°F. Peel and chop the butternut squash. Cook by either boiling or steaming for 30-40 minutes until tender. 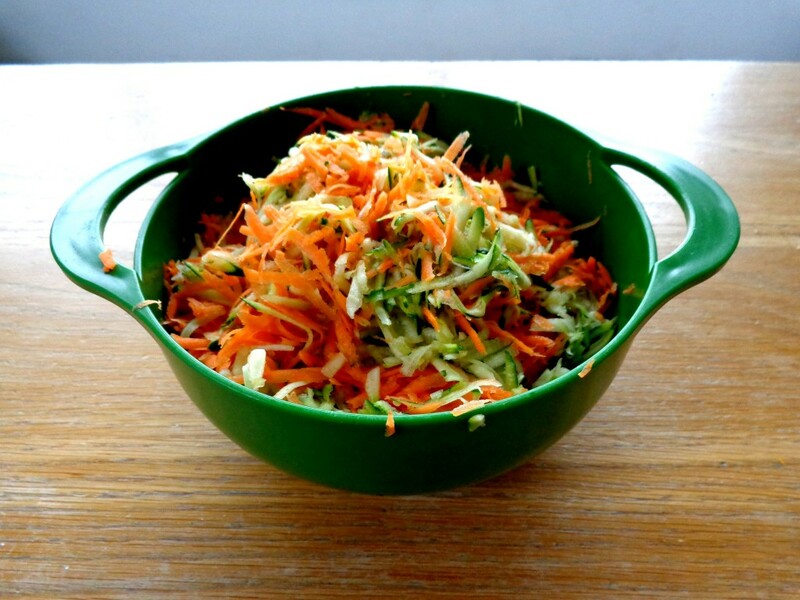 Place shredded courgette and shredded carrot in a bowl with a sprinkle of sea salt and leave for 15 minutes. Then, drain as much water as possible from the vegetables. Heat olive oil in a medium frying pan and add mince. Fry until brown. Add mushrooms and fry for 5-10 minutes until tender. 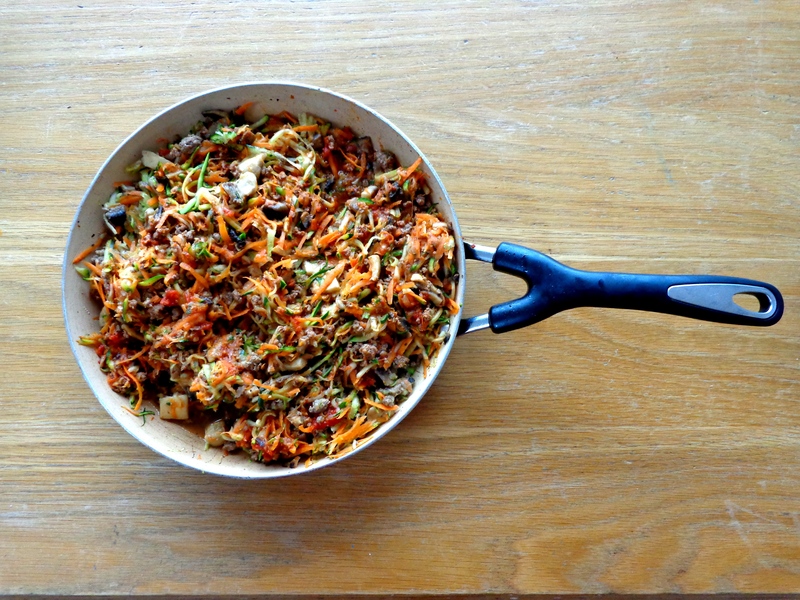 Mix through carrot and courgette and season with salt and pepper. Add chopped tomatoes to the beef and vegetable mix, stirring well. Turn off the heat. Mash the butternut squash with a potato masher. Add butter, a pinch of sea salt and pepper and stir well. Place the beef mixture in an ovenproof dish, then cover completely with the butternut squash mash and finally top with the grated cheddar cheese. Bake until cheese melts on top and the pie begins to brown at the edges, taking care not to let it burn. I start checking after 20 minutes but usually bake for 30 minutes. 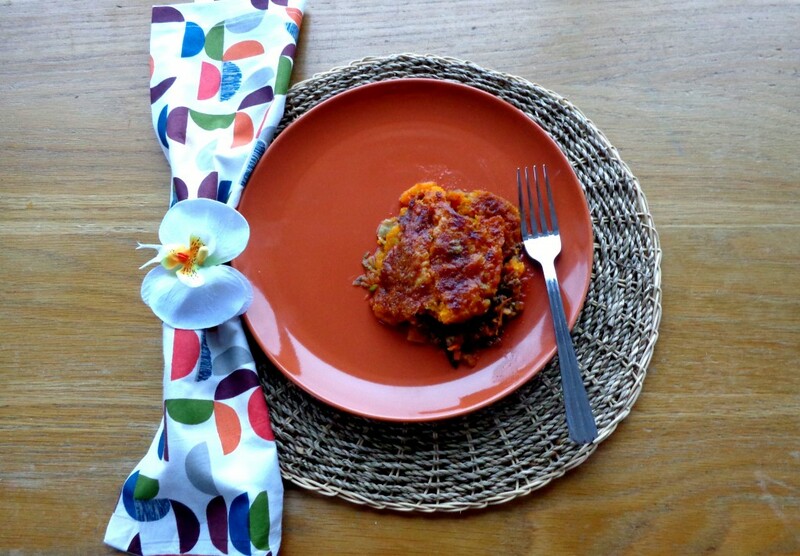 This keeps fine in the fridge for two days and can be reheated in a warm oven. *Tinned tomatoes are technically not legal on the Specific Carbohydrate Diet (SCD). I only use one brand 'Mutti' which I have verified with the company are completely free of sugar and the can is also BPA free.